As he has done all season, the veteran Wlaydko was the first GPRC finisher, placing fourth among the college runner. He stopped the clocked at 29:19 for the rolling 8 km course. Rookie Eric Nooy was the next best local, finishing in 18th spot. Other Wolves runners include Troy Bogh (27th), the iconic Kyle Reynolds (33rd), and Jarred St Arnault (34th). Kelcie Bulas recorded a time of 25:41 for 6 km to lead the GPRC women. She finished 7th out the college runners. Teammates Anna van der Giessen (17th), Kailey Bratland (20th), Brittany Duvall (30th), and Kelsey Bishop (36th) were the other Wolves finishers. SAIT Polytechnic from Calgary had a good meet. SAIT parlayed 1-2-3-6 individual finishes into a convincing win the mens race. 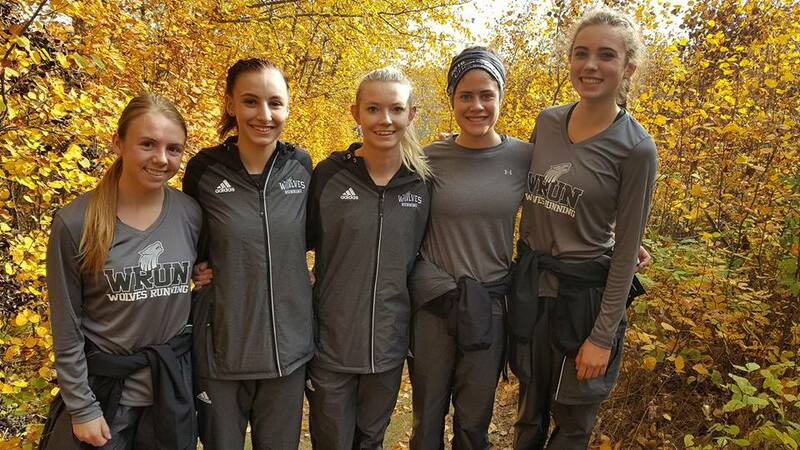 The SAIT women narrowly edged the host Red Deer College team by four points to win the 6 km team title. Next up for the varsity Wolves cross country team is ACAC #5 – the Augustana Open in Camrose on October 15. Also on Saturday, a number of local runners took part in the Dawson Creek Sneak Cross Country Race. Peace Country Wolves Athletics Club runners Chris Neillson and Kobe Grocholoski went 1-2 in the high school boys race. Team mates Mairen Lawson (1st in the Junior High Girls race) and Jacob Farnsworth (2nd in the Junior High Boys race) also took part. This entry was posted in Cross Country and tagged ACAC, Brandon Wladyko, CCAA Cross Country, GPRC Wolves Cross Country, Grande Prairie Alberta, Kelcie Bulas, Peace Country, Red Deer College. Bookmark the permalink.